Hobbyboss has announced a new A-4E for later in 2019. Frankly this is good news as a modern tooling of an A-4E would be most welcome. Who wouldn’t do this if given a chance. Issue 23 #5 is a typical, good IPMS Journal. It has an article on the A-4 and all the available kits of that aircraft by sometime MMCL member Joe Turpen. It has a long article on 3 different versions of the L88 Corvette. There is also an article on a horror figure kit. 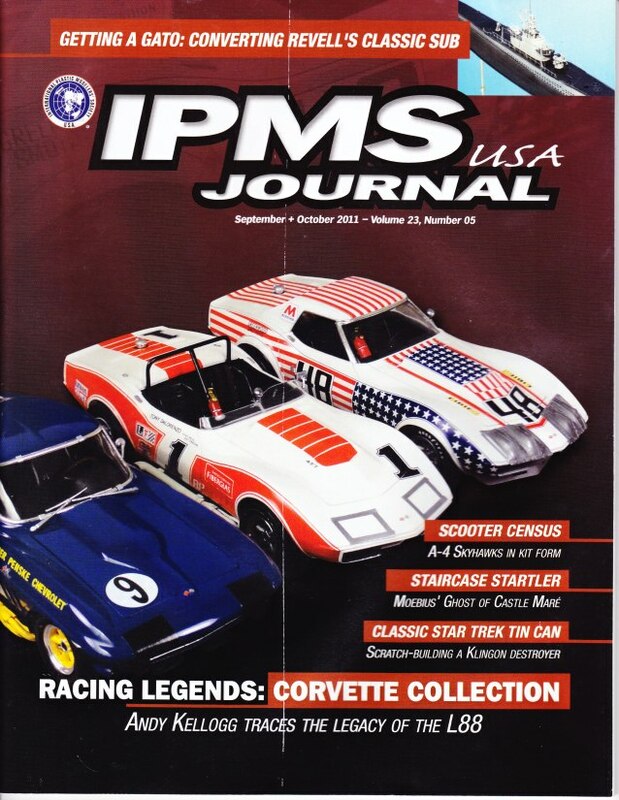 As far as IPMS Journal’s go, it wasn’t the best issue, however, it is still the best modeling magazine out there. Join IPMS/USA.